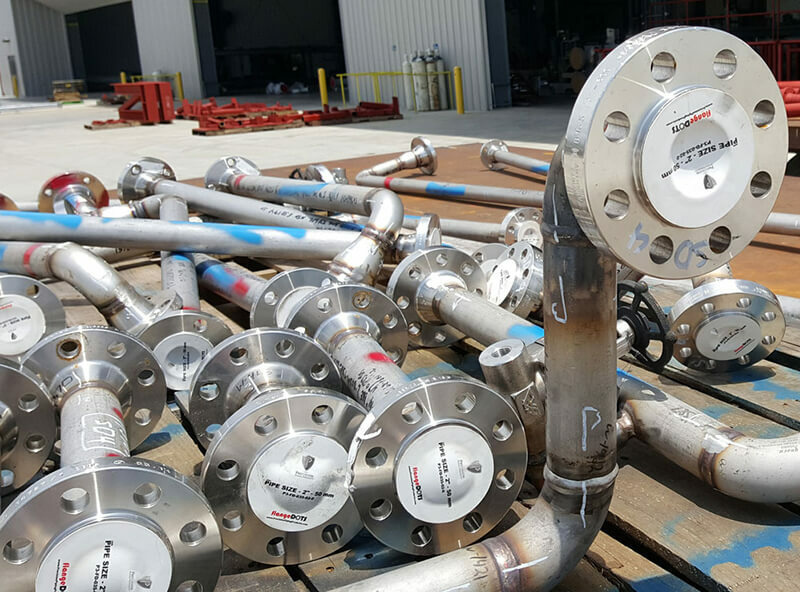 Keep your Stainless Steel flanges free of stain, nicks and dings with flange protection products from P3. Our flangeDOTS® are safe for use on stainless, with a chloride-free, caustic-free, and carcinogen-free adhesive that is powerful enough to stay on your Stainless Flanges in the harshest conditions, yet leaves no residue after removal. When used in conjunction with out flangeDOTS®, flangeBUMPER® is perfect if you need safe guarding from heavy bumps, mechanical damage, long term storage or preservation. Add corrosion protection with our Seal N Peel, which is offered in stainless-safe OGS formula. It can be easily brushed on, and will give your stainless steel surfaces an extra layer of protection to hold up against the most extreme environments on the planet.